At the 2012 North American International Auto Show, Buick will officially reveal the all-new, first-ever Encore subcompact crossover. To hint at what it looks like, the Tri-Shield brand has periodically released sections of an official reveal photo on its Facebook page. But if you’ve been paying attention, you should already know what it’s more or less going to look like. Have you seen the leaked photos of its twin, the Opel Mokka crossover? If not, we have them right here. The door lines are really awkward, it’s as though they are scalloped out of the side of the vehicle along the roof line. Are we sure it’s not a Nissan Rouge? You can see from the latest picture that the rear glass has the “bat wing” look shown in the Opel Mokka. There is some nice detail around the wheel wells. So far, though, I’m not seeing much design excitement here or much risk. I’m still seeing Chevrolet. More details will be interesting as countdown tease continues to the NAIAS. This will be much, much, much smaller than a Rogue. Let’s keep in mind that the leading luxury brand in the world doesn’t take much risk or generate much excitement in its designs. They’re not offensive and not too bland; we may not like them as car aficionados, but others go ape$hit over them. Todd, I agree there is nothing here that says lookout 4 Buick, this is a vehicle that could have been produced under almost any non or semi luxury brand, not what I would expect from Buick. What I would expect is a refined design pulling from the existing design language while also expanding on it. This is a step backward in design and maintaining the Buick brand direction, this would be better in a brand where there are no expectations for refinement and there is a need to fill a gap. This attempt at brand repackaging is bad, Buick needs a CUV but one that exudes a better pedigree, this looks like the runt of the litter that was thrown on the street cause no one new what to do with it. I am talking about refinement a strong stance a vehicle that looks the part a true Buick, a Buick with character like the Enclave. Saturn VUE all day long. This kind of “switch the badge” crap hurts GM bad. Too bad it’s structurally/mechanically unrelated to the Vue….so it isn’t a Vue, or even a rebadged Vue. @Yabadabadoo, Yea this is totally a pitfall for Buick just in terms of exterior design even if the interior, driving dynamics, refinement level, and other elements are top-notch, which I doubt they will be. This car reminds me of the second generation rav4 and that cant be a good thing since the rav4 was produced a decade ago and it was at the bottom of a basic automakers lineup. If this was a chevy I might have even praised the encore, but is definately not a buick. Normally I would never criticize a car till it is completely revealed but just the platform and looks revealed so far are the makings of a bad car. It will go a long way in hurting Buicks image and perception, right now Buick has a golden oppurtunity, since it has faded so far from consumers minds that it can dictate what the image of buick will be. The Lacrosse and the Enclave are great examples of instilled the true meaning of buick luxury, since first impressions are everything, first time buick buyers who buy the encore will be dissapointed in the long run when a hyundai tuscon is more refined than a buick and come to think all buicks are like it(this is typical thinking of an average car buyer), after all, quiet tuning will not be enough to mask a subcompact as a luxury car. While im sure it will generate sales and short term profit, I hope this car is discontinued in a few years before it does too much damage to Buicks perception and long term strenght. You guys are all harsh judges, you don’t even know what it really looks like yet! Just look at Opel Mokka. Yea I guess we are being kind of hard considering it has not been even driven yet, however it is just hard to swallow the idea of a subcompact as a Buick. I was talking about looks, not the platform or mechanics. I don’t need to see any more of it because the dang thing looks like a VUE. Why is Buick messing about with this type of thing anyway? They started down a cool road with the Regal, then threw it in reverse and crashed into the past. The Vue looks much better in my opinion. this is squished, tall crossover with a teensy short hood and virtually no glass past the C pillar. GM is returning to vehicle repurposing. First it was the Regal; it worked because it was a great looking world class vehicle. Now it’s the Encore. Lots of vehicles don’t look right in 2D but are magnificent once those 3rd and 4th dimensions are put in place. I think that seemingly awkward C pillar may reveal something once we get a chance to eye it over properly. In real life. What exactly is the “fourth dimension”? It’s a hypothetical physical construct that may or may not exist. The mental exercise of abstrct geometry for mathematicians. Some theorist hold that rather than the 4th dimension being an extra physical space, that it would be a temporal one, like time travel. Time itself is a linear measurment of the motions between the Sun and Earth, as are the other 3 other linear movements in our 3-dimensional universe (up & down, forwards & backwards, left & right). If there is a 4th spacial dimension, the next pair of linear physical movements would be Spissatude and Spassitude. Alternatively, if the 4th dimension is a temporal one, the pair of linear movements would be (logically) Past and Future. That’s how I understand what the 4th dimension is. Mind you, everything about the 4D is hypothetical. If CERN does more work on the matter, they could prove or disprove the existance of the 4th dimension. In that case, I bet the Encore would look great in the fourth dimension because it looks like a VUE here. This slow reveal is like watching the ugly stripper at the booty bar. You can ‘t exactly look away but your mind starts wondering about what the heck you’re looking at and how your time could be better spent. Maybe that’s just me. What a disappointment that the Encore will be such a tiny vehicle. I think quite a few people, including my wife, were looking forward to something a bit smaller than the Enclave, but this is too small? Maybe it’s another Chinese market idea that we “also” get? 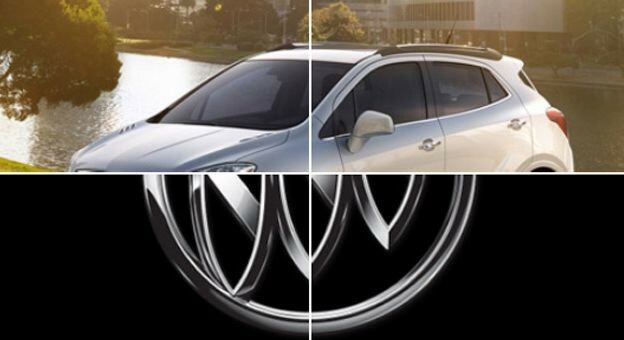 I can already hear the spin job by marketing types: “Encore attracts new buyers that never before considered Buick”! Meanwhile the sales hover around 1000-1500 per month? This should have been an easy home run for GM/Buick, 40-50K sales, instead another base hit at best? LFX323HP, you nailed it… Let’s all hope we are wrong about this vehicle. the signs are there that GM/Buick marketing is out to lunch. Maybe this is why that firm has been hired to trim the white caller employees, if I was in marketing I would be worried, especially if I was involved with the Encore. Thx for the breakdown on multiple dimensions wow… I have been very critical of this vehicle mainly because I don’t see it as a Buick. My alternate personality and I have been attempting to compromise on the subject. For those who are looking for a luxury small CUV this may be a great alternative and allow 4 reasonable utility as well. Good for Buick. However my other personality says that Buick does not have a precedence for this vehicle. Example when Honda gave us the first CRV they where developing small vehicles already, thus it nestled in nicely. Yes Buick has built small cars including the skylark but that was quite awhile ago. In recent history no small cars, thus no precedence, making this vehicle a strange addition to the line up. Yabadabadoo, Buick has had a reasonably small suv with the rendevous in the recent past this will be a five passanger very good riding and handling cuv with a suprising amount of utility for a small family. There are several cuvs like this on the market but non with the buick style and blend of ride and some performance. this will come in at a very good price point which will allow more consumers get into the brand and still have a very capable smaller cuv that is good looking. I would suggest see it in person at NAIAS in detroit and drive it next year when it comes out. By the way Marketing does not design the products or assign which division gets what chassis those decisions come from a team from each brand consisting of all internal departments including marketing. I have driven this and I was suprised at how good this little ute is. buick has been hitting some good homeruns lately I don;t think you will be dissappointed. This is likely the vehicle that I, and many other commuters with an active weekend lifestyle, have been anticipating. Kudos to Buick for finally realizing that the roads are littered everyday with cars that have no passengers. Who doesn’t want a touch of luxury when spending 1-2 hours a day in your car? Give it E-assist and it’s a home run. All this brand identity stuff in nonsense to the typical car-buyer. Build what people want and it doesn’t matter. yabadabadoo, this Opel Mokka was actually derived off of this original buick north american product. not all new buicks will be Opels you will see this on the upcoming products from buick going east to germany. The Gamma Long or large as some call it is actually a base design from Korea and was always designed to be a primary north american vehicle and has turned into a global unit being applied to local brands such as buick and opel and others in china to be released in the future most likely buick but may be a chevy in china. The teams that work on chassis development start before there is even a chassis developed and work up details as needs are identified, It would take me a long time to describe the total work flow but much more complex than someone slapping on a grill or trim, alot of regulations have to be taken into account as well as needs and design preferences of the differant areas. These decisions for the product being released now took place several years ago. hope this helps.